Beginner's Photography Classes: Photography Classes Lesson 3 - What is a lens? Lens is the sets of round glass cut into a curved shape, neither concave or convex that exposes the light uniformly to the digital sensor. The glass or sets of glasses are call lens elements. Each glass has a particular job for the overall image quality by correcting or minimizing aberrations, flares and other optical imperfections like barrel distortions and vignetting. Left is a lens element without special coating and the right have a special coating to reduce lens flare. Next is your aperture. They're work like your eyes iris with the use of blades. The larger the aperture the more light it allows into your camera by opening up those blades. The F number gets smaller when the aperture is fully opened, and the F number goes down when the aperture is near close. In most cases, you just need to know: the smaller the F number, the bigger the number on the price tag. Examples of aperture fully opened and closed. 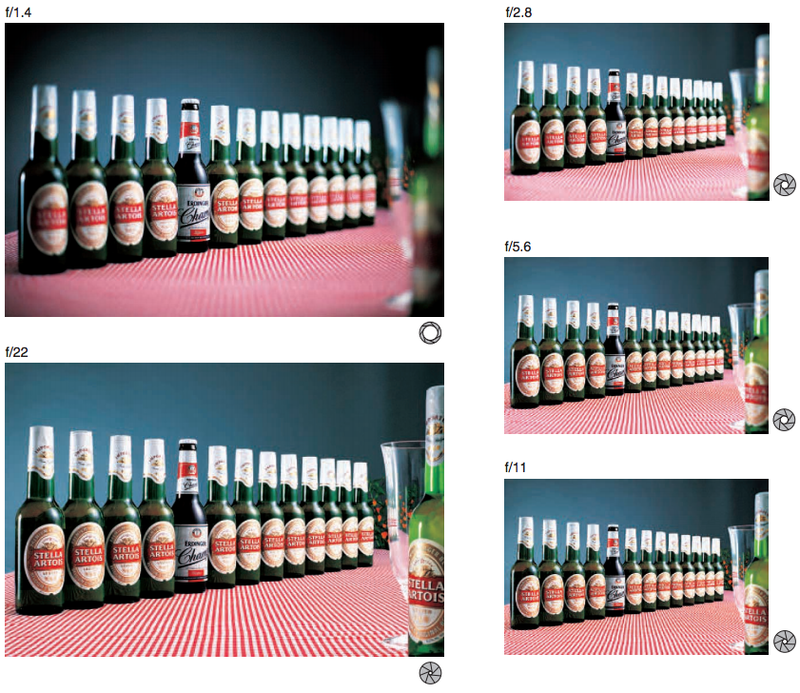 Also, the smaller the number the more options we have to isolate our subject with blurring the background and foreground while keeping the subject sharp. This is called depth of field, where we control the how much wider or shallower the field of focus in the photography (which we will cover in detail on a new post). Below is an example. Finally, we have focal length. A focal length of 50mm is what we call a normal lens. Due to the history we have with the 35mm film camera, a lens of 50mm on a 35mm camera produces the "zoom" distance of the human eye. Now, our eyes can see much wider than 50mm, but this is part of our eye that we see that's normally sharp. Thus, it's call a normal lens. From normal lens, we can neither go wider (wide angle to fisheye lenses) or narrow (telephoto lenses). The interesting stuff that happens when playing around with focal length is the subject and the background/foreground start to interact with each other in the picture. 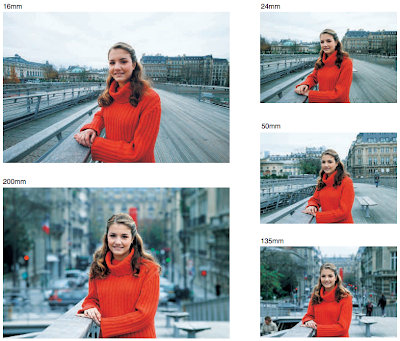 Framing the subject at the same spot on the photography with different focal length lenses. So that's lens element, aperture, and focal length. These are your basic components that make up the lens on your camera. In the next lesson on Beginner's Photography Classes, I will cover controlling and operating the lens and on components of the lens, such as auto-focus and manual focus rings, zoom ring, image stabilizer functions, and more. Please feel for to send me questions about you camera. I'm here to help. What's a camera? and What's a sensor?